Replenix Power of 3 Cream delivers an ultra-powerful dose of antioxidants to your skin. This potent product is packed with 90% green tea polyphenols and antioxidant enhancing caffeine to fight free-radicals in skin cells that cause damage and make skin age more quickly. The formula is strengthened with resveratrol, an extremely effective antioxidant hailed for its anti-aging properties. The cream also contains hyaluronic acid, a humectant that absorbs water from the air and delivers it to skin cells, locking in and ensuring moisture. 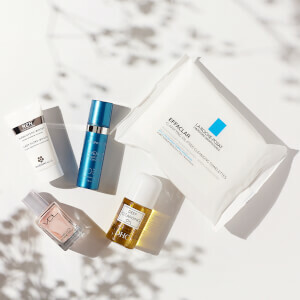 This concentrated combination maximizes protection from free-radical damage, reduces redness and inflammation and limits the appearance of fine lines and wrinkles. Ideal for all skin types, especially dry, mature skin. Purified Water, Squalane, Cyclomethicone, Glyceryl Stearate, Behenyl Alcohol, Caffeine U.S.P. Palmitic Acid, Stearic Acid, Lecithin, Lauryl Alcohol, Myristyl Alcohol, Cetyl Alcohol, Dimethicone, Camellia Sinensis (Green Tea) Polyphenols, Resveratrol, Cucumis Sativus (Cucumber) Fruit Extract, Bisabolol, Chamomilla Recutila (Matricaria) Flower Extract, Glycine Soja (Soybean) Extract, Rosmarinus Officinalis (Rosemary) Leaf Extract, Polysorbate-20, Carbomer, Caprylyl Glycol, Triethanolaine, Sorbic Acid, Phenoxyethanol, Tetrasodium EDTA. I think it’s pretty dry. Not enough for dry skin especially in winter. Will try in the summer to see whether it’s good or not. I experiment with lots of different creams but this is the one (recommended by my dermatologist) that I always use. I'm surprised by the compliments I've been getting about my face lately. These creams really do work. My skin looks amazing with this cream! I have been using this product for years and love it. I used it in the morning after shaving and under my sunscreen. It is a great antioxidant moisturizer that is loaded with good for your skin ingredients. It is the perfect moisturizer for my sensitive skin. Well worth the price. I used the Power of Three Cream for awhile, and I really liked it. I have also used the Power of Three Serum. I personally preferred the cream. Soothing, absorbs quickly. 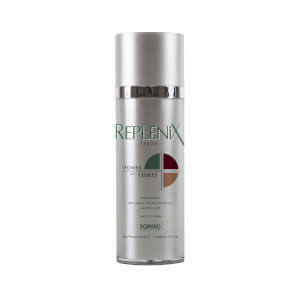 I use the Replenix 10x at night and use this for the day with a bit of moisturizer. I love using this cream with Retin-A. The texture is perfect - it absorbs very well into the skin. It is perfect for combination oily skin type. Very happy with the results. I've been using this cream for years and will continue using it as long as they make it! Gentle, soothing, non greasy, and effective. I mix this with my retinoid or my vitamin C serum and am happy with the results. I had stopped using for a little while and my skin just didn't look the same. After I started using it again and I got my glow back! Love it!